What’s the secret to producing a great brand film? The lines have definitely blurred over the last few years between what’s considered a brand film and a traditional TV ad. It’s hard to distinguish the difference. When branded content first came out it was such a shiny new thing, with storytelling and content sponsored by a brand. But now you see commercials going that way, and it’s a blurrier line for sure. How do you avoid brand films just becoming bad ads? If there was a secret sauce in making amazing brand films we’d all just follow that. It’s different every time. And that’s what we do creatively. We try to find new and interesting ways to tell a story, because if we all do the same thing it becomes boring and formulaic, so every time is a different solution and a different solve. You’re starting to see a lot of films that are more of the same: people talking about their passions, an on-camera interview that cuts to them doing their thing. You see that sponsored by lots of different brands and, creatively, you think "we can’t do that." So you find the next thing – then everyone starts to do that. Creativity is constantly evolving. But when it comes to shareable content, people are looking for things that feel interesting, emotional, or relevant – those continue to rise to the top, whether they are commercials or branded films. People don’t generally gravitate to things that feel too "sales-y," unless they’re doing research into a specific product, which becomes more of an educational film. Are there analogies between the evolution of brand films and advertising? It is trying to figure out the next thing. Sometimes the next thing isn’t even completely new – it’s a remix of a few different things that have been done before, but in a new combination.The secret is figuring out something that feels fresh and different. And it’s hard, because there’s so much content out there, so much that has been done. But there are also billions of stories we haven’t even told yet. How do you integrate new technologies such as AR? The secret is not getting caught up in the technology itself. Technology is interesting and allows us to play with different types of storytelling, but it still comes back to great stories and good ideas. Things change every year and there is new media and technology, but in the end, consumers engage and interact with good ideas and great storytelling that captures their hearts and minds. What great ideas have you seen over the past year? The Samsung Snail is just beautiful storytelling. I’m not sure if it’s a commercial or a brand film,but it leaves you with a really great feeling. 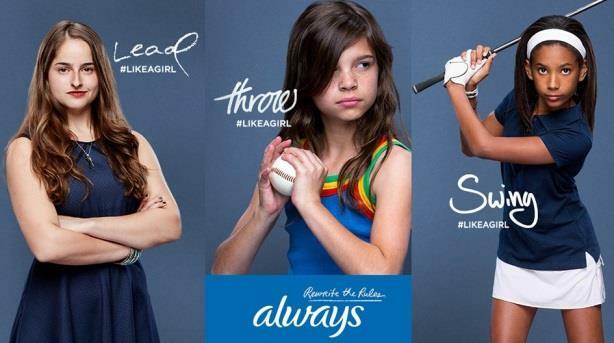 How did brand film play into #LikeAGirl? We launched with a brand film that ran about three and a half minutes. We definitely tried to shorten it to about two minutes. You have all these different rules in the back of your mind about the ideal length for a piece of content when you create something, such as how long people can engage with a film and having three to four seconds to catch their attention. But something also has to happen organically and it has to feel right. #LikeAGirl ended up at three and a half minutes. We tried to cut it a lot of different ways to shorten it, but it felt that was where it wanted to live to tell that complete story. It was incredibly successful and powerful. A lot of people watched it and shared it, and it worked really well. The timing was perfect in terms of what was going on culturally, and that was part of its success. Then we cut it down to a 60 for the Super Bowl. So do you call it an ad or a film? I think it’s still a film, even though it ran in an ad slot. How do you create campaign ideas that have longevity? That’s always a question when you build a platform: how long is its life? It depends on what’s going on in the world, what’s going on with your brand, and if you can keep it fresh and relevant. A lot of different factors come into play there – I hope #LikeAGirl has a long life. But it’s always difficult to follow up a big launch to keep it going and keep it fresh. Do you work with different partners on brand films? It depends what you’re working on. If you have good creatives it’s still about storytelling, being convincing, and engaging people. It’s only when you get into different expertise, or highlight or use new technology that you’ll want to extend what those teams look like. Or if you want to get into longer-format, such as an hour-and-a-half film, then you might want to engage some other people. Are you bringing on new talent to produce brand films? I’ve been thinking about this from a staffing standpoint as we explore what we do and how we do it, but at the moment we work with different partners. It depends how much you’re doing. Which people are best placed to make brand films? Both PR and advertising folks have been storytellers and lead brands in telling stories. What trends are you seeing at clients? That changes every year, and it’s always a reflection of what’s going on and what’s out there.Everyone’s talking about moving to digital and more films, content, and social. That part of the business is definitely growing. And it’s not just figuring out more content, it’s the right content at the right time and making sure it’s relevant. Those are the guardrails that need to be around content – people can only watch and engage so much. How much of that is a threat to a creative agency? It’s an opportunity. It’s making more content. You’re still promoting a brand. It’s finding different ways to do that. Are brand films cheaper for clients than ads? Some clients see it as saving money - others see it as redistributing. It’s not resulting in higher budgets. 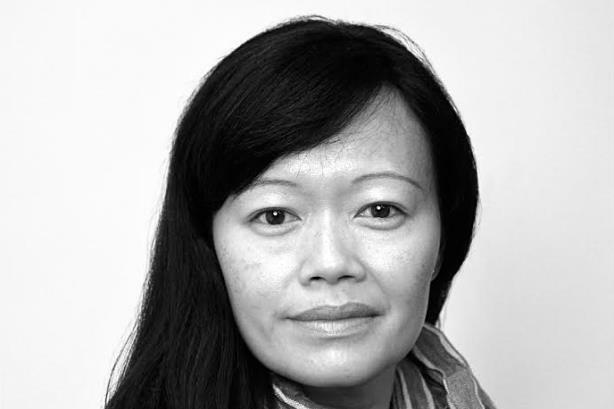 How is the dynamic between ad and PR firms evolving? It depends on your clients and relationships. There needs to be a tighter relationship between[creative] agencies and PR because there is such a greater opportunity and upside in promoting and getting films watched and shared. It’s very much a joint effort. It’s much less a handing off of the baton, more a sitting down and figuring it out together. How have the new arrangements at Publicis affected the way firms work together? We’re definitely tighter, talking more, and working together, and having a better understanding of how we work together and amplify things as a team. You’re always stronger as team than you are as individuals. What are you particularly looking forward to this year? There will be more exploration of different technologies. Tech opens up what we’re capable of doing in film, and that’s always an interesting added creative tool. I am always interested in seeing what people are doing with technology to make their storytelling more engaging. It’s inspiring to see new work, new approaches, and new ways of thinking. Click here to learn more about Campaign and PRWeek's Brand Film Festival New York, or to submit your film for consideration in our second annual gala screening. The deadline for submissions, which are open to work from the Americas and Asia-Pacific, is February 6.